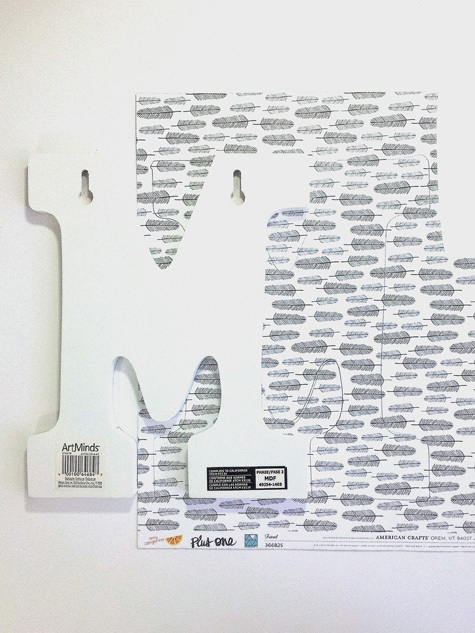 This week the American Crafts Blog is featuring Mix & Match, using your AC collections. 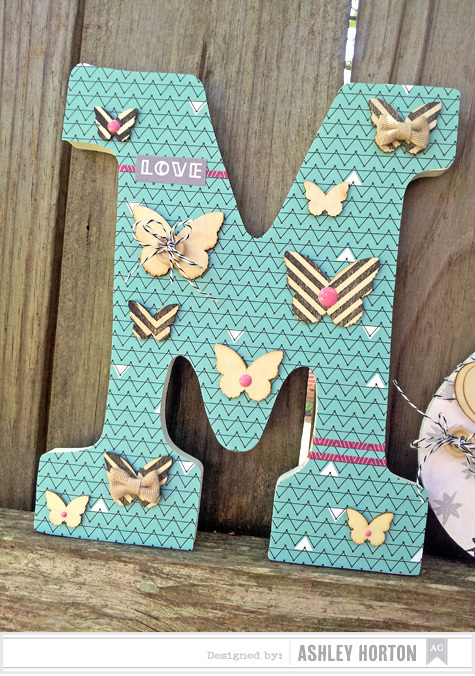 I created an Altered Initials tutorial, using a mix of the Plus One collection from Amy Tangerine, the Daydreamer collection from Dear Lizzy and the DIY Shop collection. 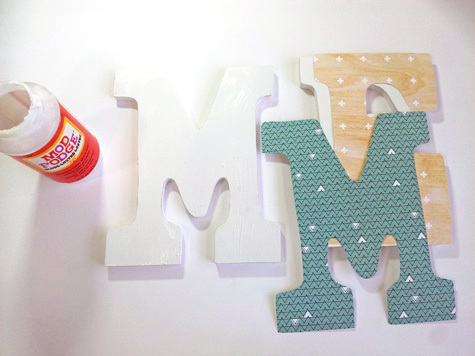 To create this project, you will need wooden letters, Mod Podge, foam brush, hot glue gun, Plus One collection, Daydreamer collection, and DIY Shop collection. 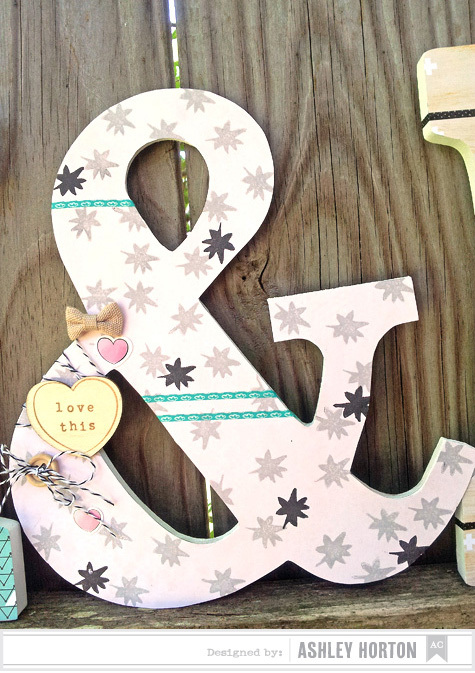 Begin by tracing each of your letters and ampersand onto the backside of the patterned paper you want to use. 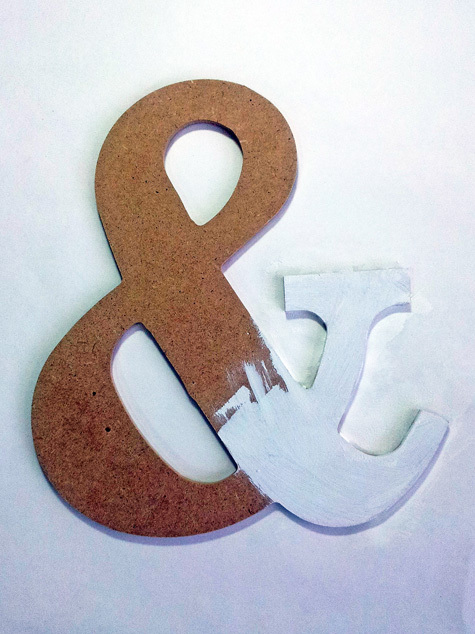 The ampersand I bought was brown, and I wanted the edges to be white, like the initials, so I used acrylic paint to paint the edges. 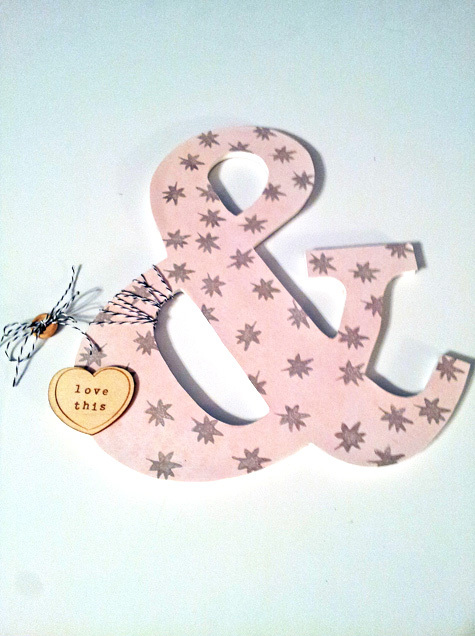 While the paint on the ampersand dried, I cut out the traced letters and covered the wooden letters with Mod Podge. After you place your traced letter over the wooden letter, make sure you smooth it out to keep bubbles from forming under the paper. 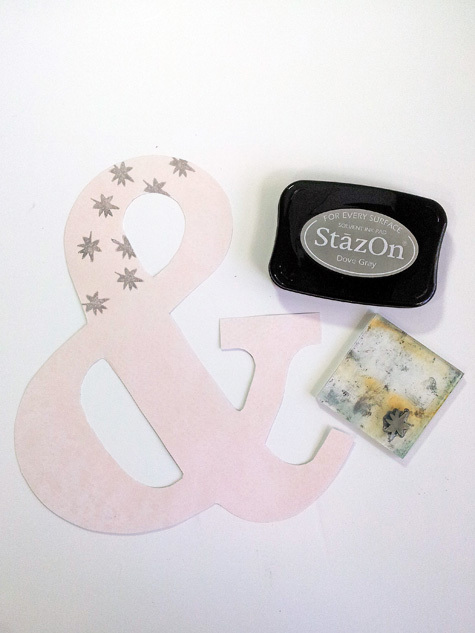 I wanted to add some stamping to my project so I used the fun asterisk stamp from the Plus One acrylic stamps and randomly stamped a pattern on the traced ampersand. Then I adhered the traced shape with Mod Podge and gathered some embellishments to add to it. 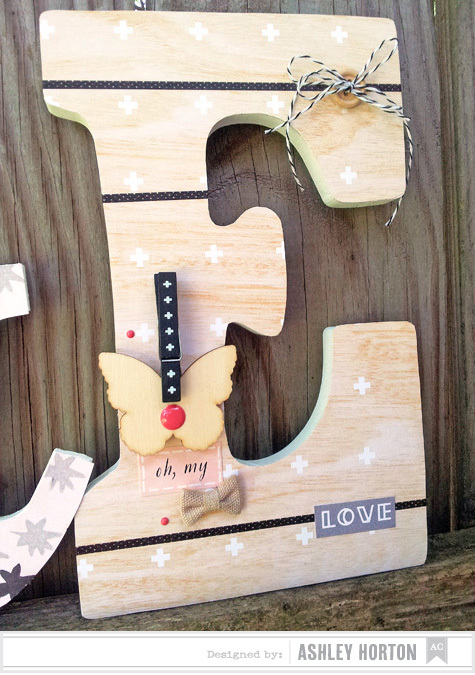 The fun part is embellishing each of your letters. 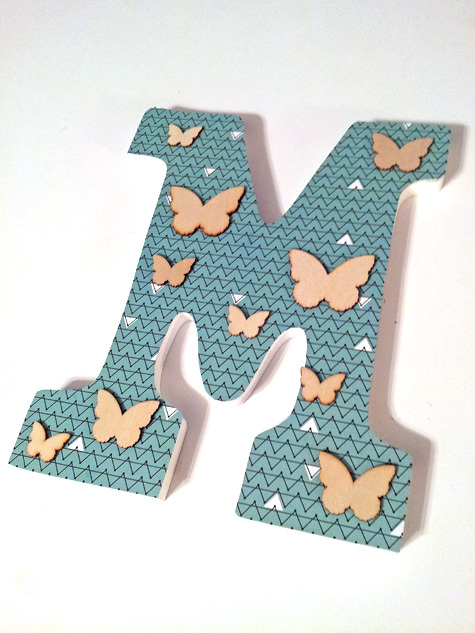 I wanted to use the wood veneer butterflies from the DIY Shop collection on the M initial. 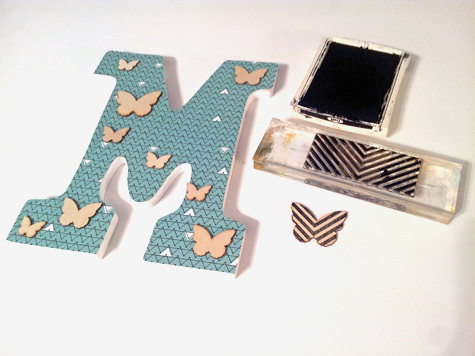 I placed each of the butterflies where I wanted them on the letter and then stamped over several of them with the chevron stamp from the Plus One acrylic stamps. 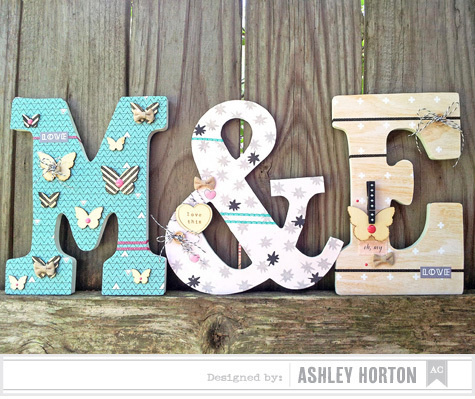 Then I added the burlap bows and enamel dots to some of the butterflies. I love that you can create a cohesive project mixing the AC collections! And it's always fun to mix collections on your layouts and cards too, and get so many different looks!